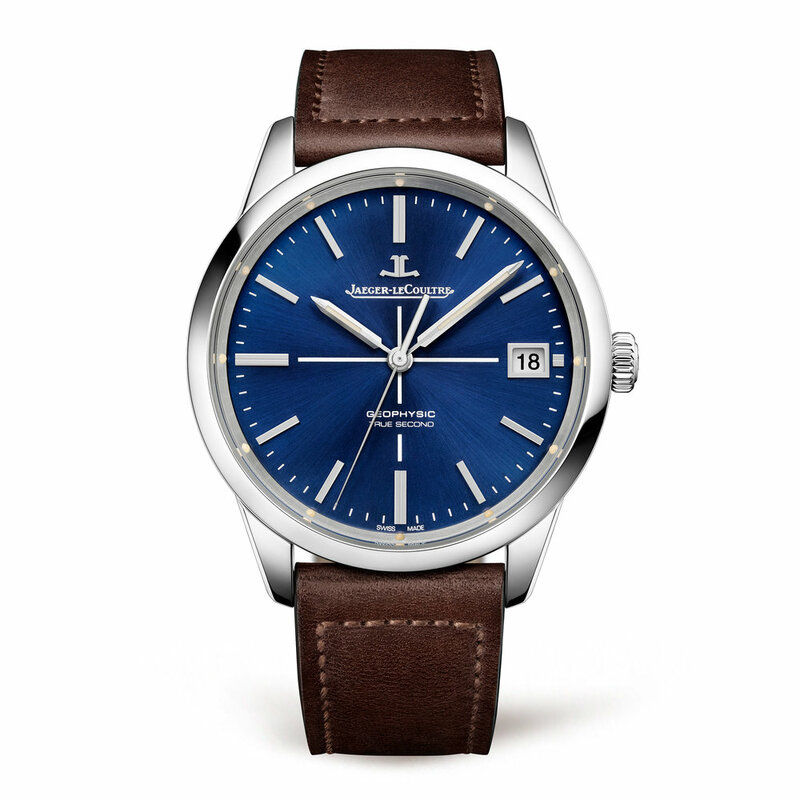 In reviving their Geophysic model, Jaeger-LeCoultre certainly hit the right note with critics and buyers alike in 2015, with its distinctive jumping seconds hand and clean crisp design lifted from a 1950s classic, and now with a new blue dial this 100 piece boutique edition the Geophysic True Second is a striking evolution. Watch folk can be a funny lot you know. Some can bang on (almost) to the point of boring our friends about the graceful and seemingly constant sweep of the seconds hand on a high-beat mechanical movement, while at the same time, knowledgeably and even dismissively deriding the unsophisticated tick, tick of a quartz second's jumps from marker to marker. To most with a passing interest, that staccato seconds can mean only one thing; the presence of a quartz movement. Perish the thought. Watchmaking too thrives on innovative quirkiness, and among the myriad technical complications, there exists one known as the Seconde Morte, or dead beat seconds, which not only mimics the tick, ticking which swept tsunami-like across the watch industry in the 1970s and '80s, but dates right back to the formative years of horology in the middle of the eighteenth century. Perhaps it's to avoid confusion, or worse, to devalue in the eyes of the unknowing a fine mechanical timepiece that the Seconde Morte is rarely seen, particularly since traditional mechanical horology staged the greatest comeback of all time. However it remains an engaging attribute to the type of customer who both appreciates the sophistication of the complication, as much as the satisfaction of correcting an erroneous remark from an onlooker, and the chastened look of surprise which will inevitably follow. All of which brings us neatly to Jaeger-LeCoultre and a new limited edition version of the Geophysic True Second, featuring a deep blue, brushed metallic dial with cross-hair detail, and which, not surprisingly given the prelude above, also features just such a mechanism. Originally produced back in 1958, as part of the International Geophysical Year, until its revival in 2015, the Geophysic name and distinctive, no frills styling, had been shelved for more than fifty years, becoming a scarce vintage icon. On its return, it was clear that very little had changed over the passage of time, and apart from benefitting from modern manufacturing processes the design of its 39.6mm stainless steel case and dial layout are faithful to its predecessor. 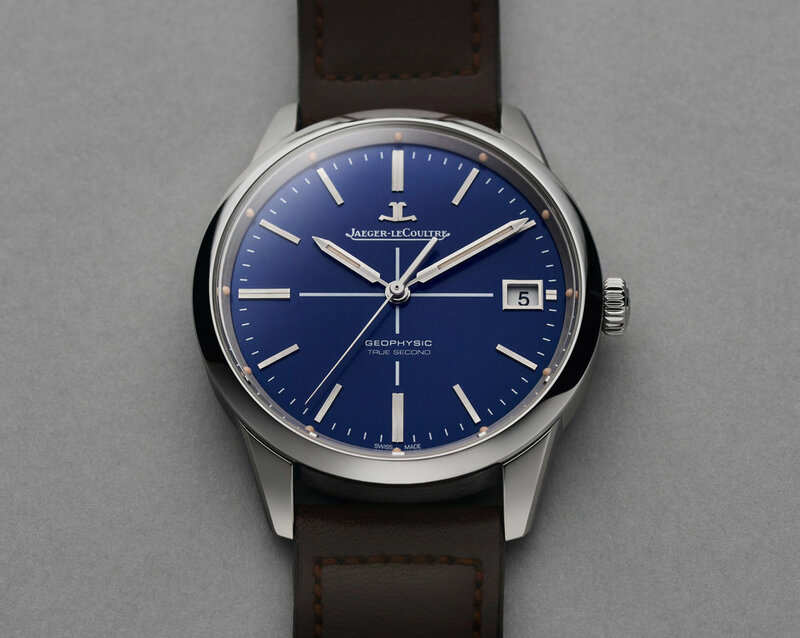 That means we get what Jaeger-LeCoultre do so well; a beautifully appointed yet understated piece which brims with little details throughout, such as the luminous hour accents embedded into the flange of the dial, which complement the slender applied steel hour markers and the sword-like luminous coated hands. The date window at the 3 o'clock position is discreet and unobtrusive and a nice touch is the thin white cross hair detail. Of course, it's the jumping seconds which immediately catch the eye, and visually this is the most pronounced difference between the new and the old Geophysic. Although the True Seconds don't actually enhance performance in any way, in fact thanks to the mechanical exertion that the leaping action requires, it could be expected to have an adverse effect on accuracy, although Jaeger-LeCoultre have ensured that its Calibre 770 does not suffer for the sake of the novelty. 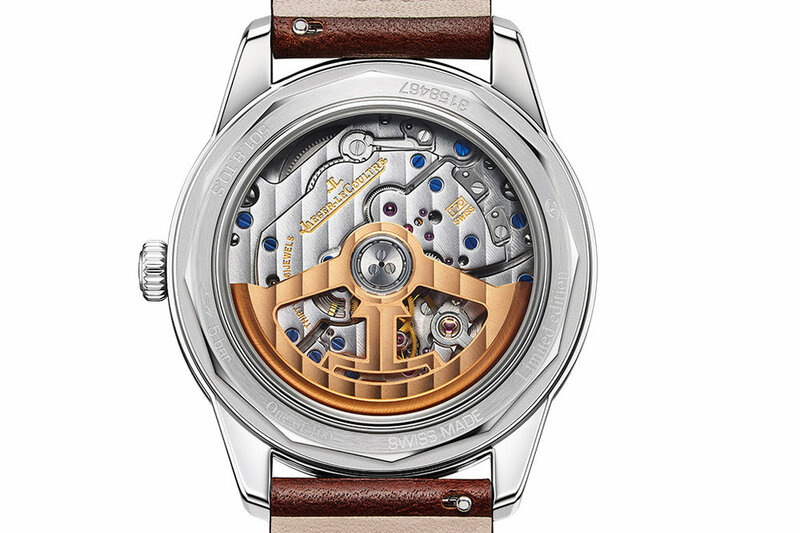 A self winding movement does feature the manufacture's Geolab balance, which, thanks to its unique shape makes the regulating organ more aerodynamically efficient than the traditional wheel form balance. Through the sapphire caseback, the movement with its 22Kt gold oscillating weight and Côtes de Genève surface decoration can be fully appreciated. Its clever dead seconds mechanism is made possible thanks to a mini remontoir-esque solution, whereby the motion of the seconds had is checked and released once every second, as opposed to the eight virtually imperceptible pulses of the more conventional seconds hand. 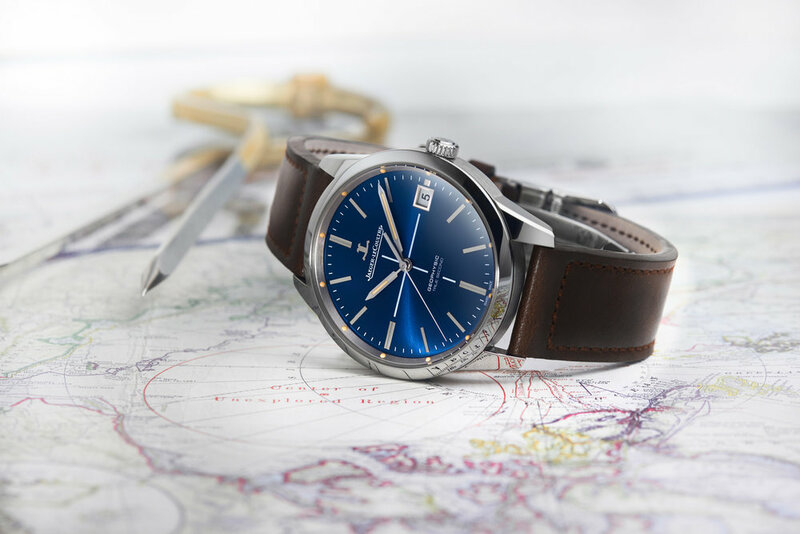 The Jaeger-LeCoultre Geophysic True Second edition is restricted to the manufacture's own online store, and with this blue dial, will only be produced in a run of 100 pieces.